I'm a Maryland girl, so I love just about anything with crab. Of course, the best way to eat crabs is a big pile of hardshell crabs, preferably outside in the summer at a picnic table covered in newspaper. But that's a lot of work and gets pretty expensive. So when I need a crab fix I make a quick batch of this super yummy and unbelievably easy crab dip. Chop your tomato and avocado into small pieces and set aside. In a large bowl, mix together your crab meat and cream cheese until well combined. The best way to do this is with your hands - super fun for kids who want to help in the kitchen! Once the crab and cream cheese are well mixed together, stir in the Old Bay. I'm not giving you a measurement for Old Bay because it is really up to your taste. I love my Old Bay, so I make mine pretty spicy. Start with a 1/2 teaspoon and keep adding until it's spiced to your liking. Spread the crab mixture into your serving dish. Add a little more Old Bay on top, if desired. 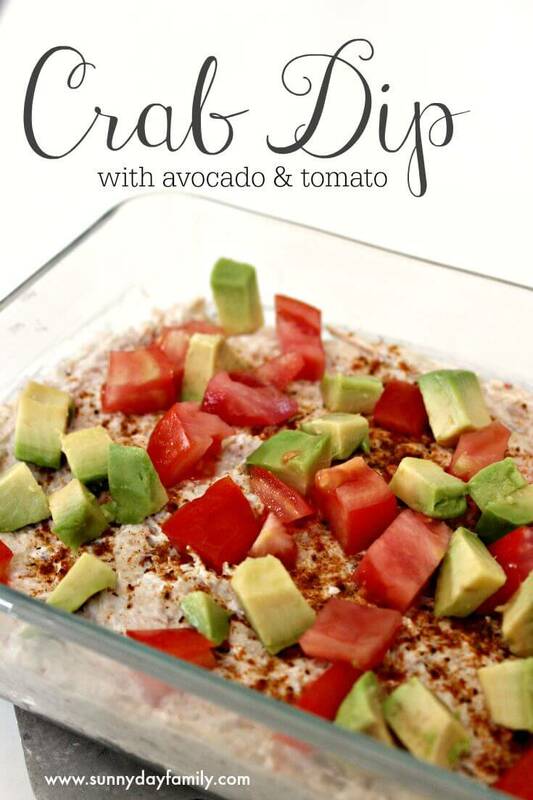 Sprinkle your chopped tomato and avocado on top. Serve with crackers or baguette slices and enjoy! Yum! I love Old Bay... and crab... and tomato and avocado. 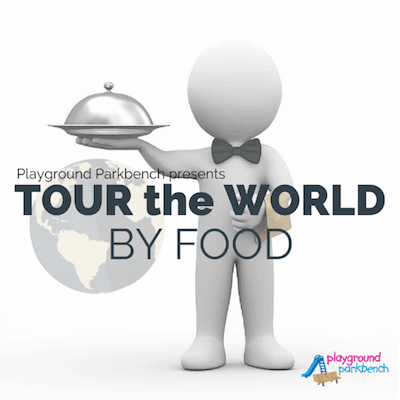 Can't wait to try this - thank you for being a part of the Tour the World by Food series. What should we Tour the World by next?? ?